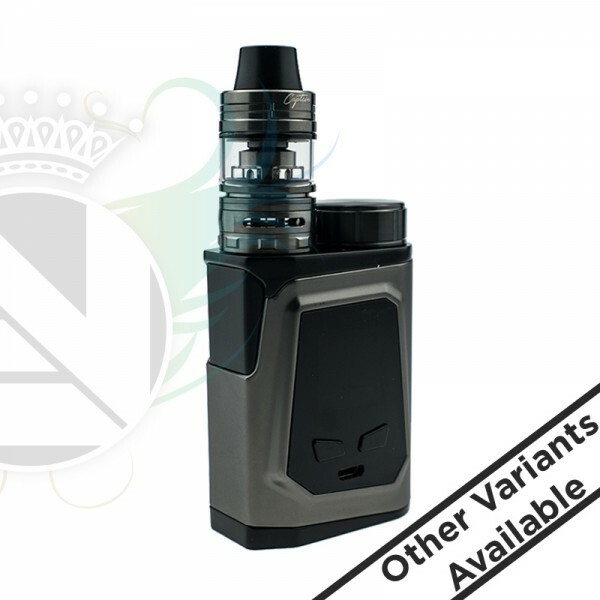 The iJoy's CAPO 21700 100 TC Starter Kit is the next performance platform to elevate today's modern vape systems, utilizing a brand-new 21700-sized battery within a beautiful compact device to pair with the new Captain Mini Sub-Ohm Tank. The iJoy CAPO 100W TC Box Mod is constructed to fully accommodate the new iJoy 21700 3750 40A Battery (included), providing a long-lasting device with phenomenal performance capability while maintaining a travel-friendly structure. The battery is top-loaded through a threaded battery cap, providing convenient access while simultaneously adds a modern touch to the design of the CAPO 100. The internal chipset features a maximum output rating of 100W with sophisticated temperature control mode with effective fine-tuning adjustments as well as Unique Custom User Mode. Pairing with the device is the new Captain Mini Sub-Ohm Tank, a compact rendition of the Captain S Tank featuring a 2ml juice capacity, sliding retractable top-fill design, and the thread-less coil system. 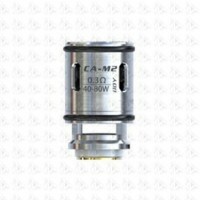 The included 0.5ohm CA-M1 Coil Head has an output range of 30 to 60W along with a 0.3ohm CA-M2 Coil Head with a maximum recommended wattage of 80W. Entering the market as quite possibly the most comprehensive and capable compact system, the iJoy CAPO 100 TC Starter Kit sets a new benchmark in the compact kit segment.